At King Dental Group, we believe that optimal oral health and a beautiful smile require a lifetime of consistent dental care. Often, the key to a healthy smile is to go back to the basics. At our Santa Barbara office, we strive to provide you and your family with exceptional general dentistry services. 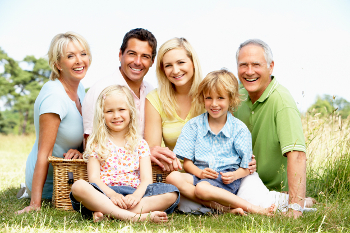 We want to help you and your family have fully functioning smiles! Teeth Cleaning: One of the best ways to maintain good oral health is to have regularly scheduled professional teeth cleanings. A deep teeth cleaning by an experienced dentist will clean the hard-to-reach areas that a toothbrush and floss can’t quite get to. Teeth cleanings can help prevent a number of dental health issues, such as tooth decay, gum disease, and more. 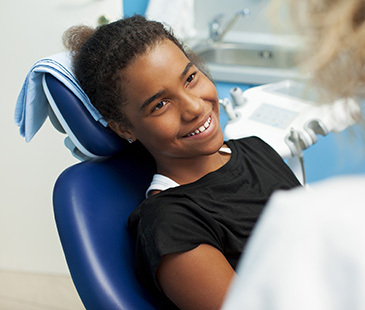 This preventative step is so important that we believe teenagers and children should have a teeth cleaning 4 times a year. Adults should have 2 cleanings a year. Fillings: A filling is used to seal cavities. At King Dental Group, our dental fillings are made from porcelain. They are mercury-free and designed to match the beauty of your natural teeth. No one should notice you had dental work done with our porcelain, tooth-colored fillings! Root Canals: A deep tooth infection often prompts root canal treatment. At King Dental Group, our highly-skilled team will help you get relief from your excruciating toothache, using root canal treatment. Root canals have helped several patients preserve their natural teeth and receive alleviation from their toothache. Tooth Extractions: Sometimes, a tooth needs to be pulled. If you need a tooth removed, our dentist and staff can help. We will safely and carefully extract the tooth. Oral Cancer Screenings: Oral cancer is one of the most deadly cancers because it is often not discovered soon enough. Using our modern oral cancer screening technology, we can detect if you have this terrible disease. Proper diagnosis at an early stage cancer will greatly increase your chances of survival. We are proud to be a family dentistry office that provides a wide range of general dentistry services. If you have specific dental goals in mind, we will work alongside you to help you reach your goals. Dr. King feels that open communication with each and every patient increases their chances of smile success. Let’s work together to achieve your dream smile. At King Dental Group, we work hard to create a comfortable, friendly, and relaxing environment at our dental office. Dr. King and his team will do their very best to make sure you and your family are happy and 100% satisfied during your dental appointment. We are excited to offer all of these services and more to our patients. If you’d like to learn more about our general dentistry options, give our office a call. We look forward to working with you and your family!